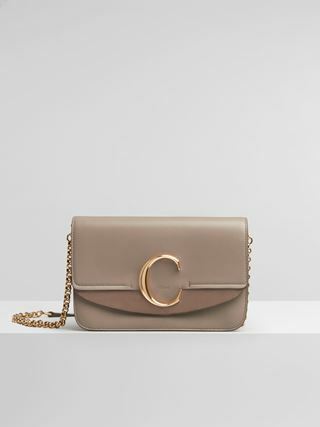 Chic yet relaxed, this elegant mini Roy bucket bag is crafted from smooth calfskin. 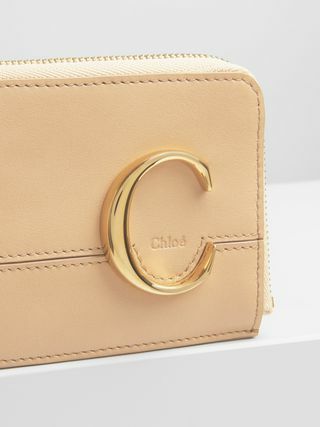 Innovative colour-engraving technology lends a textural feel to the bold Chloé logo and sporty stripes. 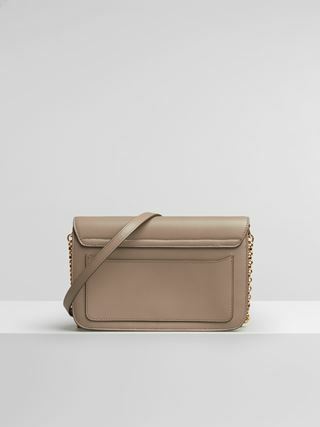 The cotton canvas drawstring closure complements the relaxed attitude and silhouette, while gold-toned studs contour the bottom of the bag. 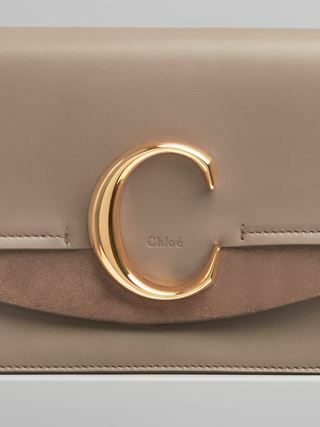 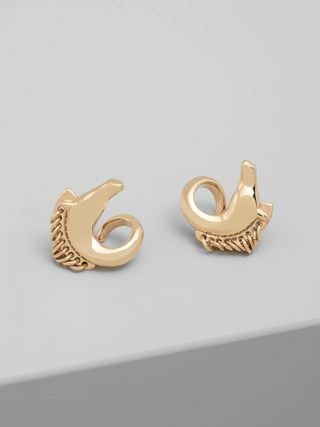 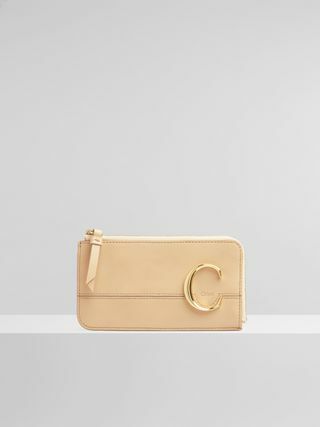 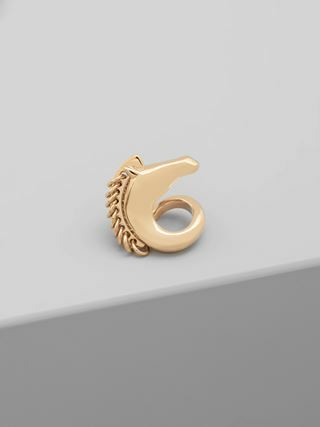 Piercing oversized rings in Chloé’s signature “O” shape adorn the sides, while a short tonal leather strap and large removable strap allow you to carry the bag however you choose.